Adulterated honey, also known as fake honey is ‘honey’ which has been diluted with, or sometimes even created by using the following components: glucose, dextrose, molasses, sugar syrup, invert sugar, flour, corn syrup and starch, essentially anything other than the natural floral nectar that it is supposed to be comprised of. Adulterated honey is a substance that has more of an artificial influence then a natural one, however, it is packaged, marketed and represented as the ‘real deal’ – a product naturally produced by bees and harvested by farmers. Recently, it has come to light that South African bee farmers have been producing honey that has been adulterated with sugar and other substances, but have been marketing it as ‘100% pure and natural’. As it turns out, some beekeepers have been exercising a fair amount of creative licence when it comes to the final product being passed onto retailers and consumers – some are pure sugar concoctions. Craig Campbell a board member of the South African Bee Industry Organisation (SABIO), MD and chief beekeeper at the renowned Peels Honey in Howick has attributed the rise in adulterated honey products saturating the market as being as result of “retailers’ ‘extreme focus’ on high margins and low cost products‚ together with insufficient product due diligence‚ has allowed fake honey to proliferate” (2018). It is also evident, according to Campbell, that the trade of ‘fake honey’ is being inadvertently aided by retailers not adhering to food labelling regulations which in some cases is more blatant than others. For example, all labels must specify the country of origin of the product – which a fair few honey brands do not. Many companies believe that they have found a ‘loophole’ by using phrases such as “Packed in South Africa” in order to avoid having to detail where the product is actually from. While it’s been discovered that there is in fact adulterated honey being sold as the real thing on the market – proving it categorically is slightly more difficult. This can be credited to the fact that honey is an “extremely complex substance and only an analytical chemist can fully understand its complexities” (Phil Walker, SAIBO). The tests involved in discerning real honey from the fake-sugar-filled imposter are expensive and largely inaccessible to most as they are only conducted overseas. 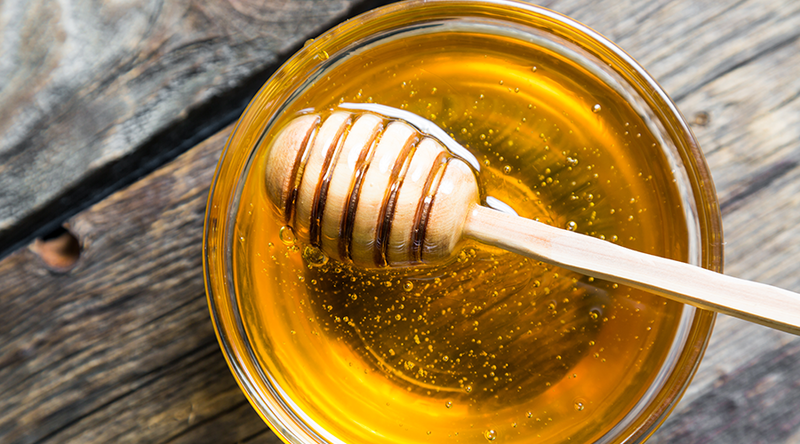 The emergence of honey adulteration in South Africa threatens the local beekeeping industry as well as the health of its consumers, particularly diabetics who utilise honey as a sugar substitute. According to Peels Honey, the best way for consumers to avoid purchasing potentially adulterated honey, is by looking out for the following: firstly the price point is a good indication as realistically a 500g bottle of pure, South African honey will go for between R65 – R90. The producers brand is also an important consideration as the more established the brand, the less likely they are to risk it all by supplying anything sub-par and will invest in the requisite tests. Lastly, a smell & test taste can be done as adulterated honey will not have a notable smell whereas natural honey does, also the sugary taste of adulterated honey will linger longer due to the refined sugar in it.